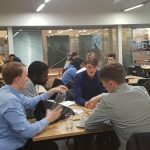 Four students from the Built Environment subject area competed this week in the CIOB Bright Futures challenge for the Sussex and London region. 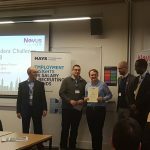 In total 14 teams entered from across the region, from Universities such as the University of East London, London South Bank University and Westminster University, as well as a team of graduates from a contractor. The challenge consisted of three rounds testing the students’ knowledge, teamwork and innovation. 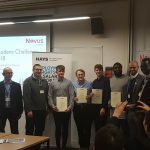 The Brighton team consisted of Building Surveying graduate and MSc Town Planning student Tavis Stringer and Project Management for Construction undergraduate students Rhys Hooks and Dafydd Rees (in final year), and Taka Musimurimwa (in second year). They came third overall securing a place in the final, competing with the top teams from the other regional heats. The final takes place on a construction site in central London but the format is being kept a mystery until the day so we don’t know what to expect! 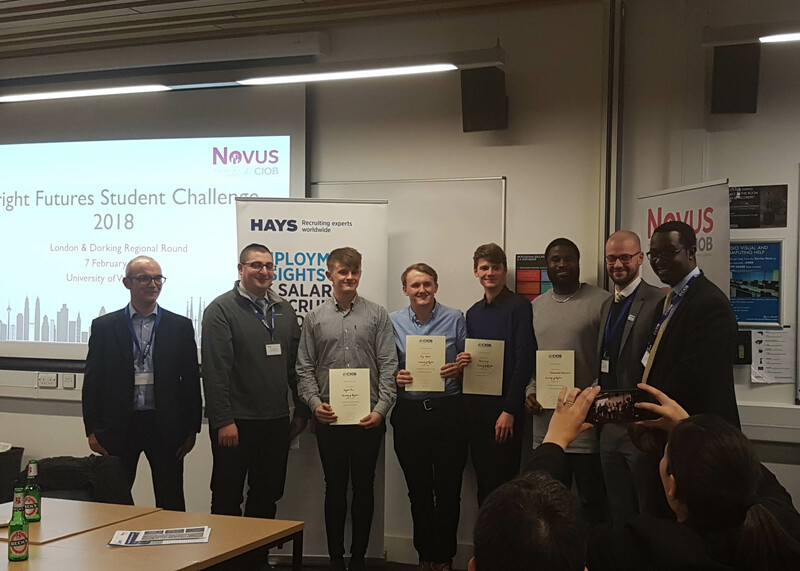 In addition to the team placing in the final, Rhys Hooks won the Outstanding Student award on the night, highlighting his dedication and enthusiasm for the construction industry. Rhys has won the opportunity to work alongside a project manager for a week on a top London construction project, gaining excellent experience and contacts in the industry. The final takes place on 28th February so watch this space for news of how we get on, whatever the result this is an excellent opportunity for the team to gain experience and meet industry professionals, helping them with their future careers in the construction industry. This entry was posted in Construction, Events, Student success.